Gomti refers to the sacred river in mystical Dwarka (India) where this natural talisman is found, and chakra means a wheel. 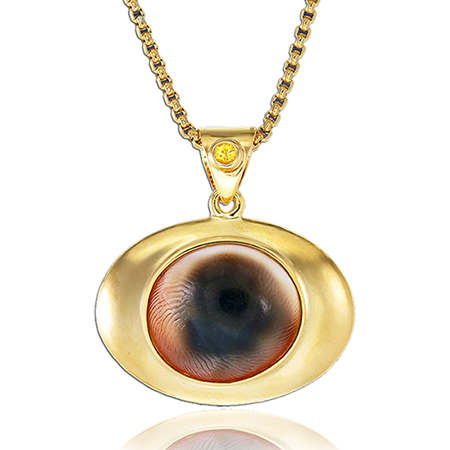 It is also known as Cows ’s Eye, Naga Chakra, Dwarka Chakra, Krishna Chakra and Lakshmi Chakra. — Approx. One inch wide. Gomti Chakra is used as a natural lucky yantra (talisman) that can bless people with good health and wealth. Gomti Chakra is blessed by Lord Krishna and is dear to Goddess Lakshmi. Gomti Chakra placed in the foundation of buildings is believed to bless the residents with long life. 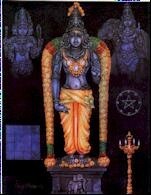 Gomti Chakra is hung in front of the house for peace and prosperity. Gomti Chakras (11) are wrapped in a red cloth and placed in rice containers to avoid scarcity. 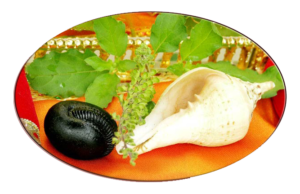 Gomti Chakra is believed to bring success when used in spiritual rituals. 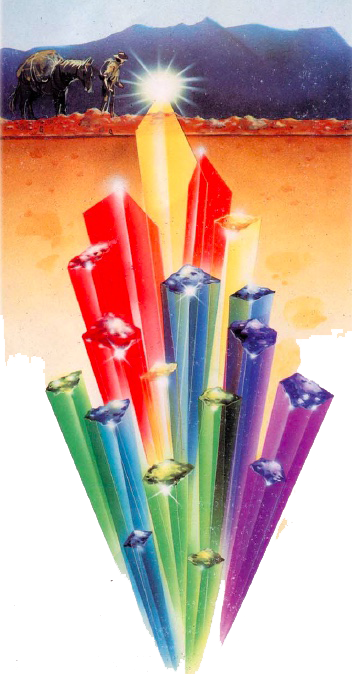 Gomti Chakra is especially known to protect children from harm. 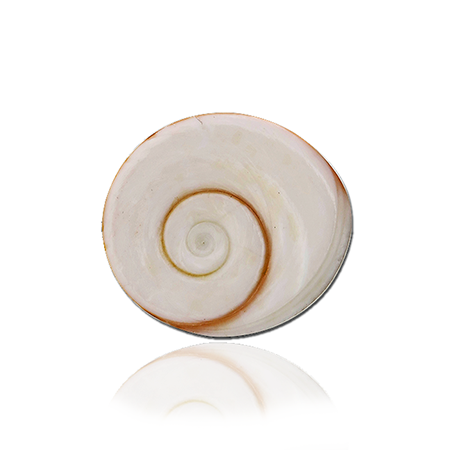 Gomti Chakra is the operculum of a kind of rare sea snail in the family Turbinidae, as a naturally created product in the form of a shell stone. 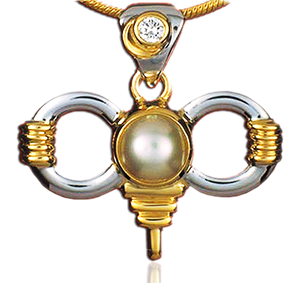 Gomti Chakra features the spiraling structure representing, Fibonacci Number, The Golden Ratio – representing Phi – life’s spiraling pattern. The sacred spiral is an ancient symbol of growth and evolution dating back eons and has been used in Asia as also by the ancient Greeks. Everything that grows follows a spiral shape. You can see these spirals in trees, galaxies, cell growth, DNA etc. 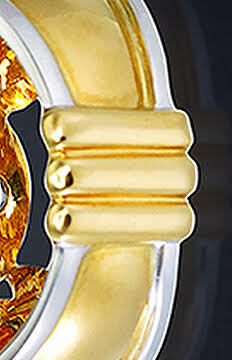 Gomati Chakra resembles the Sudarshan Chakra or Discus of Lord Krishna who ruled Dwarka 5000 years ago. The word Chakra is from the Sanskrit, meaning “discus”. Gomti Chakras are considered sacred by Hindus & Buddhists, giving wealth, health, and success. Astral Gemstone Talismans are proud to introduce the MYSTIC EYE talismans set together with a fine yellow sapphire for Jupiter in heavy gold-plated 925 silver at a very affordable price – available to most every level of society and beneficial to all..
Rudraksha seed is botanically known as Elaiocarpus/Elaeocarpus Ganitrus Roxb. It’s medicinal and divine properties have been known from time immemorial. It is said that only one who has the divine blessings of Lord Shiva (The destroyer in the Trinity of Gods) gets the opportunity of wearing this divine bead. Rudra means Shiva and Aksh means eye. 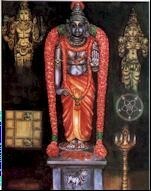 According to the Sanskrit Sri Devi Bhagwat Puranam there was an asura known as Tripurasur who was very strong and had divine energy and power.Due to these qualities he became proud and started to trouble deities and sages. No one was able to defeat this strong demon in war. 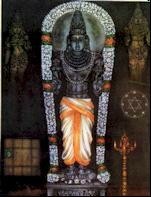 On seeing his immoral actions Brahma, Vishnu and Other deities prayed to the Devadhidev Mahadeva Shiva (The greatest, lord of Lords Shiva) to destroy evil Tripurasur.Lord Shiva closed his eyes and meditated for some time. When he opened his lotus shaped eyes tears fell from them on the earth. 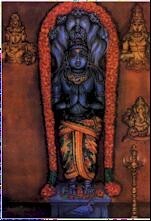 Wherever his tears fell the Rudraksha tree Grew. 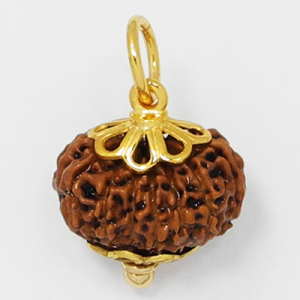 The fruits that grow on this tree are known as Rudraksha Beads. 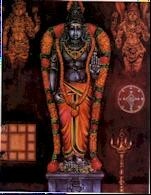 Lord Shiva then used his deadly divine powers and destroyed Tripurasur. Rudraksha are also mentioned in the Sri Shiva Mahapurana: Goddess Parvati, the divine consort of Lord Shiva asked him the origin of Rudraksha. 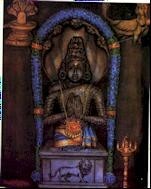 On hearing her question Shiva said that he did penance for a thousand years. Tired of keeping his eyes closed for so long, Shiva opened them. A few tears fell to the ground and from these tears, the Rudraksha tree was born. The seeds of the tree were distributed on the earth. The individual who wears the Rudraksha with devotion is like Lord Shiva himself. The man wearing the Rudraksha is Rudra himself. If he drinks then Rudra drinks. 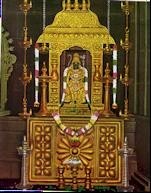 The food he eats is equivalent to the food partaken by the deities. All his sins are alleviated. One who feels any shame in wearing this divine bead can never be free from the cycle of birth and death even after taking a million births. One who criticizes a Rudraksha wearer is a sinner. No pleasure is greater in the world then wearing a Rudraksha. “I just realised something about the three lines you put at the bottom of all your rings, your distinctive logo. “In ancient Taoist iconography linked to the classic “Book of Change” (the I-Ching), there are eight symbols known as the “Eight Trigrams” (Ba Gua). They are enduring symbols of eight basic forces that form the planet, such as Heaven & Earth, Fire & Water, Mountain & Lake. The first and most powerful force is, of course, Heaven and is called Chian, and the trigram symbol for Heaven is three unbroken horizontal lines, exactly as on all your rings and in precisely the same proportions. If you look at the lines on the ring so they are horizontal, you are looking at the trigram called “Chian,” which is Heaven. The ancient Sanskrit scriptures known as the Puranas contain a well-known story regarding the astral powers of blue sapphires. One day, the great King Dushyanta was hunting in the forest when he met and instantly fell in love with a young girl named Shakuntala, who was the daughter of a powerful sage living as an ascetic yogi in the wilderness. Wishing to marry her, the King gave her a beautiful blue sapphire ring to mark their engagement, and he told her to come to his palace whenever she felt ready to marry. One morning a few month later, as she stood by the river bank drawing water for her father, the sapphire ring slipped off her finger, fell into the river, and was promptly swallowed by a fish. When later she went to visit the King at his palace to consent to his proposal, the King did not recognize her, nor could he recall his promise of marriage. Deeply distressed, she returned sadly to her father’s hut in the forest. A few months later, the fish which swallowed the ring was caught by a local fisherman, who found the precious sapphire inside its stomach. Thinking that this might be important, the fisherman took the ring to the King. 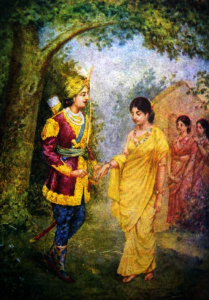 The moment the King set eyes on the stone he immediately remembered Shakuntala and his proposal of marriage to her. He sent for her, and soon they were married and lived a long happy life together, thanks to the precious gem which consummated their destiny. The eyes of the great demon Vala were colored and shaped like the blossom petals of the blue lily flower. 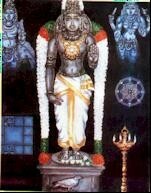 His eyes transformed into the seeds of blue sapphire gems and fell down on the sacred land of Sinhala (Sri Lanka) and the surrounding tropical areas of Southeast Asia. These sapphire seeds fell in such abundance that these lush and beautiful lands glowed with dazzling splendor. The finest color of blue sapphire is compared to the blue mountain flowers which grow wild in Sri Lanka. These flowers are so sweet that they attract hoards of bumblebees and parrots eager to drink their nectar. blue sapphires of fine, evenly distributed color, free from flaws and cut to proper proportions for brilliancy are the most valuable. When blue sapphires have a green or violet tint, are slightly grayish or darkish-blue, or are colored light-blue like the sky, they are of medium value. Blue sapphires that are excessively dark, light, or uneven in color, possessing a pronounced grayish tone, internal inclusions, external blemishes, visible black spots or internal feathers, are of low quality. Sapphires lacking brilliance due to poor proportions are also less valuable. Both ruby and blue sapphire are of the same mineral species, corundum, with only the coloring agent differing. Therefore the same methods of identification established for ruby also apply to blue sapphire. 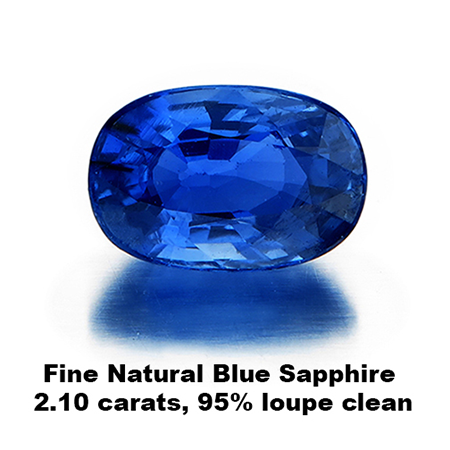 Blue sapphires of all types should never be subjected to burning for improving their color and clarity, as misfortune will certainly befall anyone doing so. Blue glass, lapis lazuli, blue spinel and other gems occasionally look like blue sapphires, but are easily detected by testing for hardness, specific gravity, and brightness. The most rare and valuable of all blue sapphires is the maha-nila, which, when immersed in 100 times its own weight of milk, can tinge the milk blue. AGT’s simple version initiation ceremony before first wearing talismans. The AGT certificate, which describes your numbered talisman, is either with the talisman or is coming by airmail, and it contains the essential mantra, day and time. Here I will describe how to first wear it. 1. 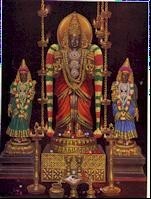 On the appointed day (Such as Sunday for Sun [ruby] or Monday for Moon [Pearl], and for any Rudraksha either Monday or Saturday. As specified in your certificate on page two. following ceremony anyway (well, if it can’t help then it can’t hurt neither; but if it CAN help then that’s awesome). 6. Hold the washed talisman in your right hand so it is being bathed in the rising smoke of the incense. 7. Recite “Om Sri Ganeshaya Namah!” – 10 times. OIL SEED: Apply scented oil (best is Sandalwood oil or Jasmine oil) on the Rudraksha once a week by rubbing on with your fingers – this will keep the seed fresh and shiny. WASH TALISMAN: Wash in normal water with a toothbrush (not over the drain pipe, please). Talismans are waterproof. 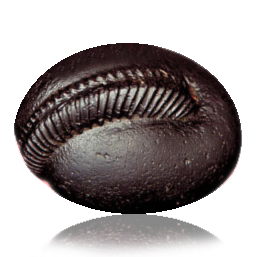 RUDRAKSHA: Rudraksha seed is waterproof. By Richard Brown|2018-02-01T06:24:50+00:00September 5th, 2017|Categories: Gemology|Comments Off on Why do gems have value?